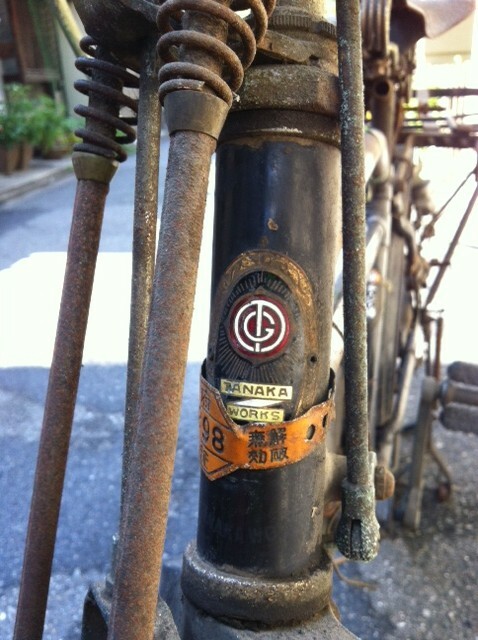 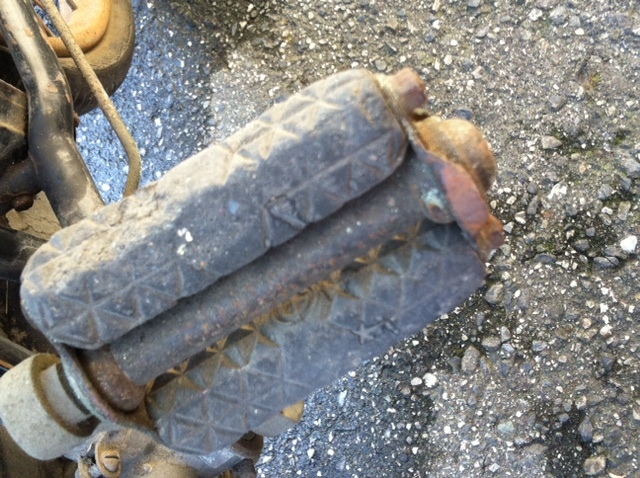 In the previous post, TG Carrier Cycle (Part1) , we took a look at this interesting find sent in by Mr. W from Kyoto. 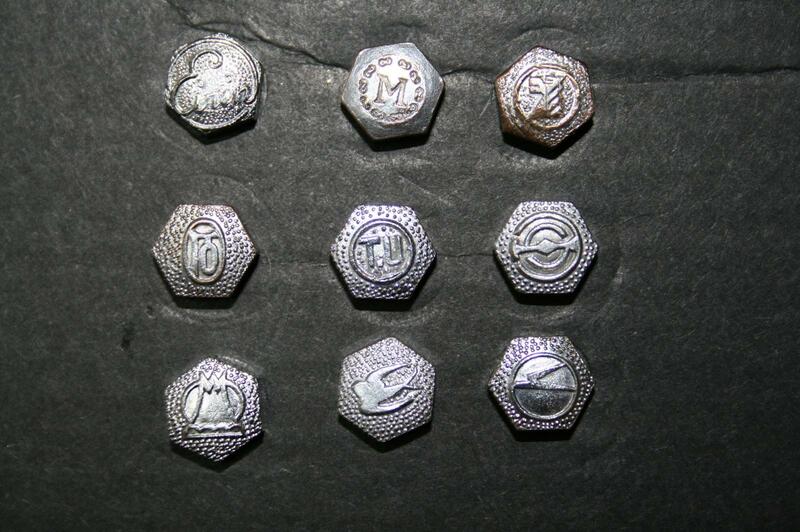 In this post we will zoom in and look at a few of the details. 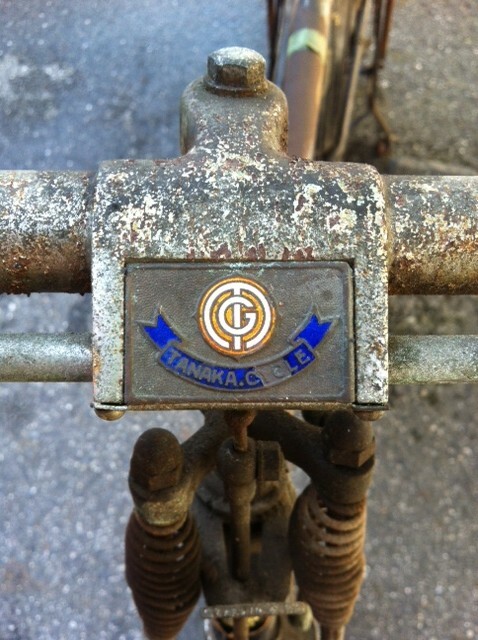 Again, there may be non-believers that take one look and think "trash" but I can assure you that, with patience and passion, this marvelous TG carrier can be brought back to the original treasue that it once was. 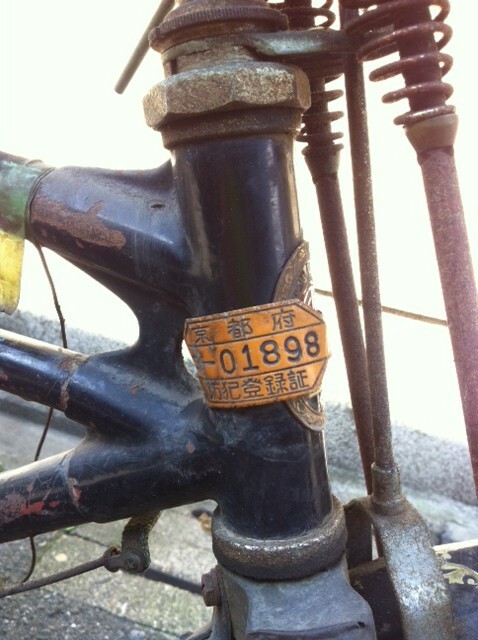 This TG carrier was made around 1954, what I would consider the peak of Japanese craftsmanship as by the end of that decade bicycles were beginning to be replaced with automobiles. 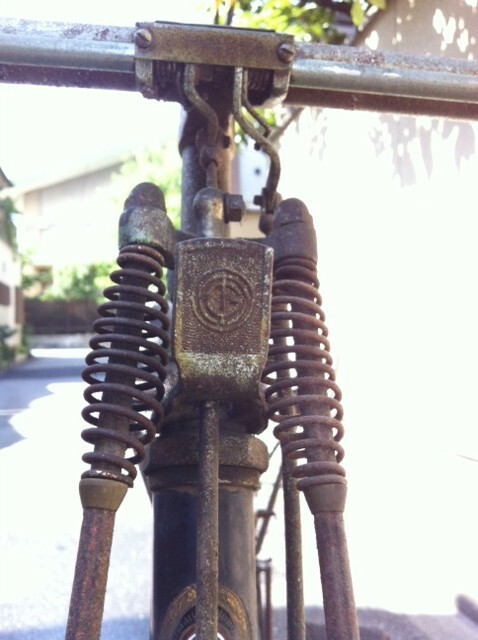 As mentioned numerous times over, JIS (Japan Industrial Standard) was established in 1949 but took a good decade to permeate the entire bicycle industry. 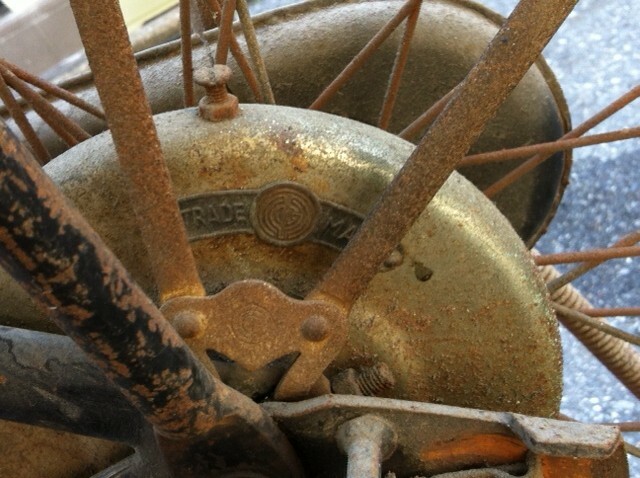 During this time nearly every individual part bore the manufacturer's logo, sometimes more than once. 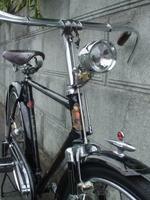 Rod-brake handlebar complete with spring protector casing and cloisonne cover..
Lamp bracket with manufacturer's mark. 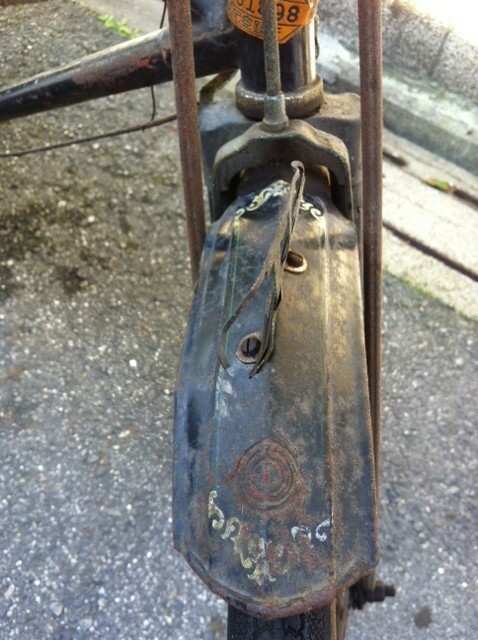 Manufacturer's mark stamped into tip of front fender. 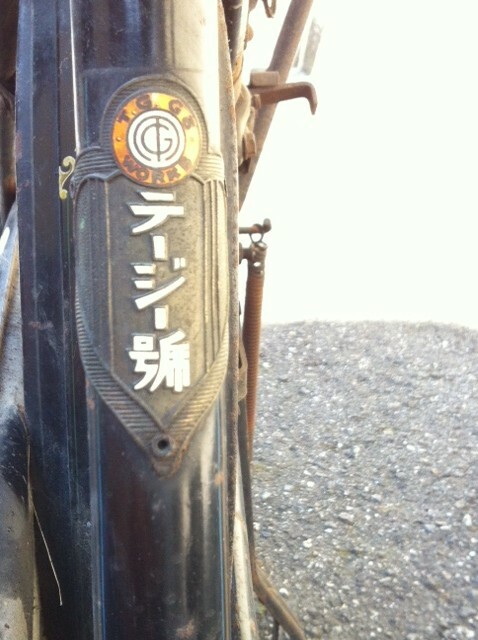 Although faded the transfers on the fender are quite ornate, typical of bicycles from 1950s. 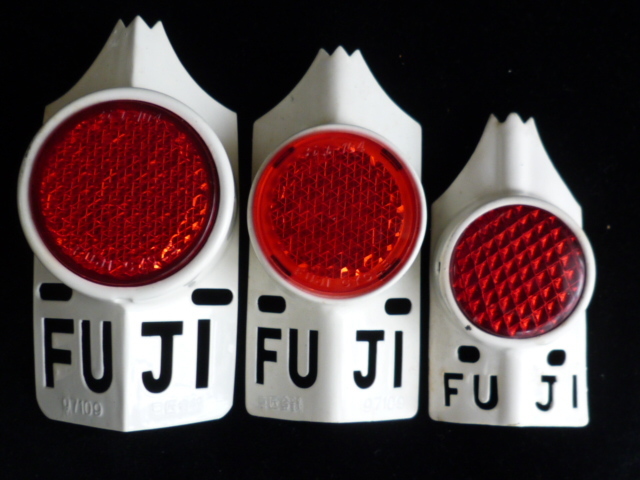 Manufactuer's mark on rubber pedal blocks. 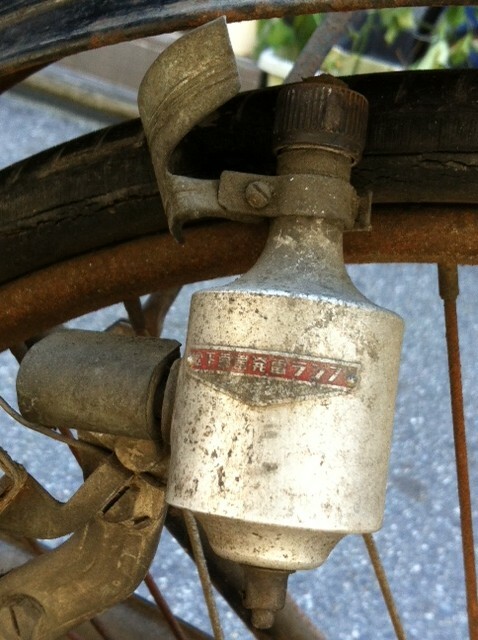 Manufacturer's badge on band brake housing. 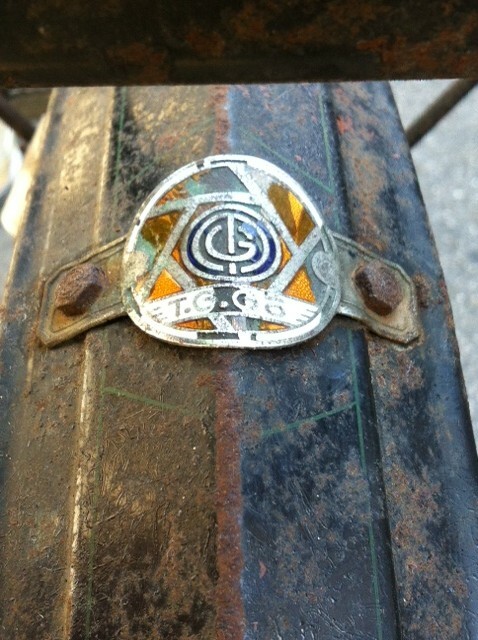 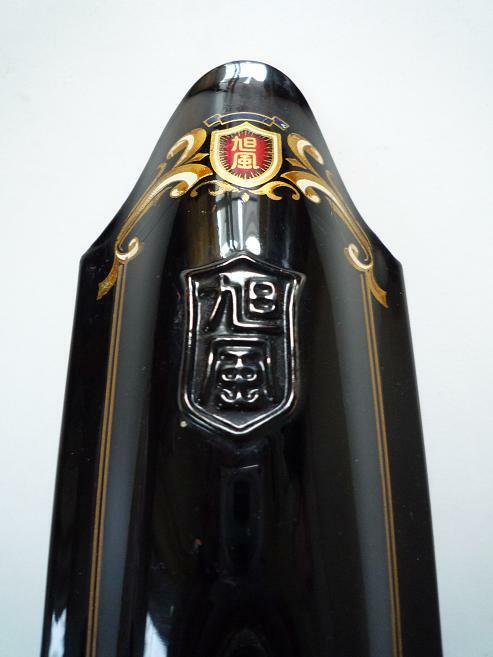 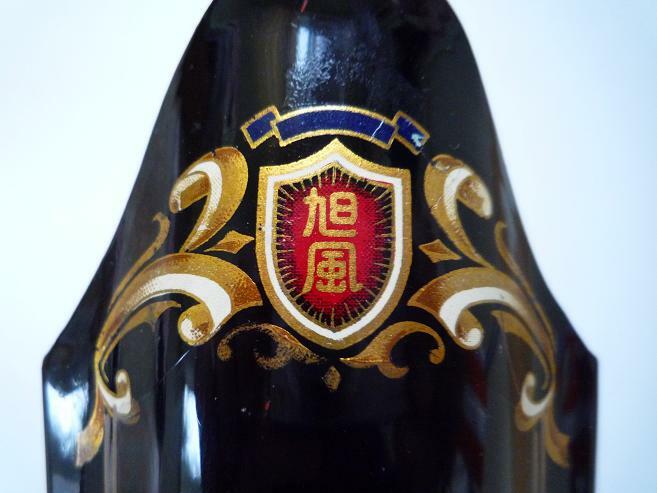 Cloisonne rear fender badge and manufacturer's mark on the heads of the fender stay bolts. 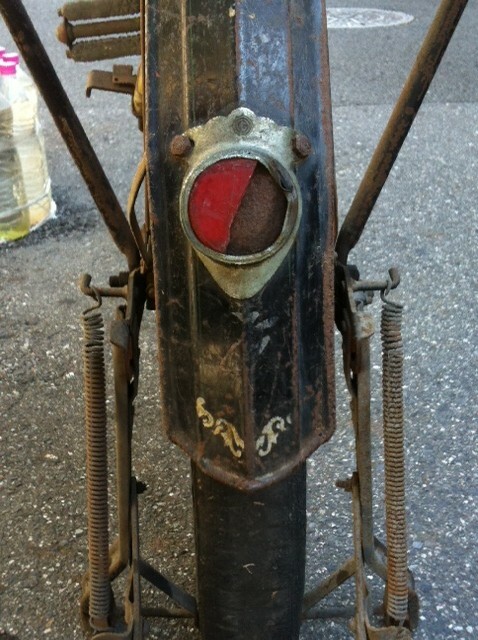 Heavy duty stand and ornate rear reflector frame. 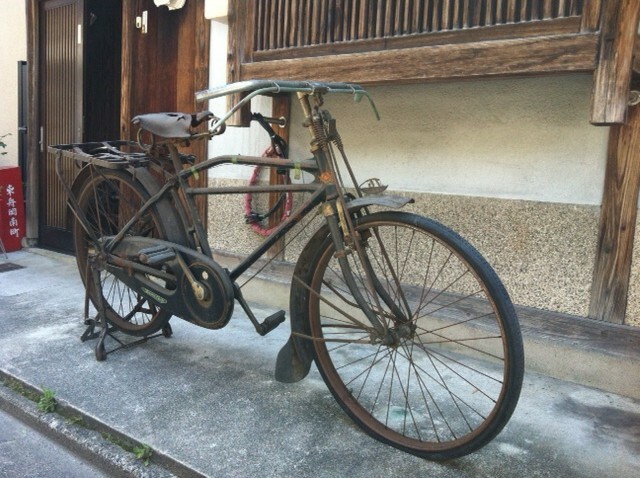 A great find with all original parts. 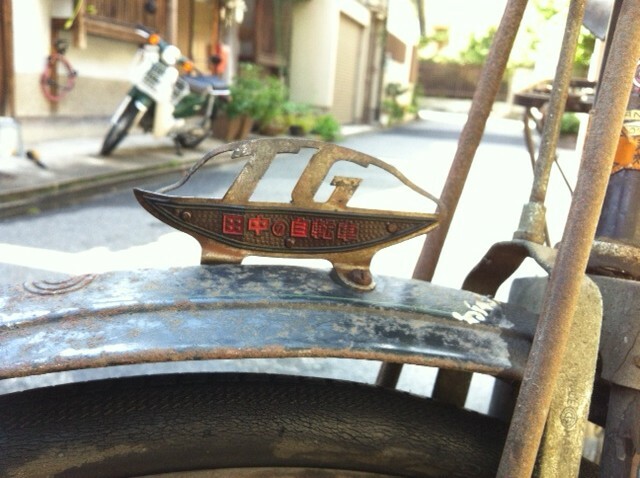 A big thank you goes out to Mr W in Kyoto for contributing these photos.